Abu Dhabi is a island located off of the coast of North-East Ubited Arabs Emirates. 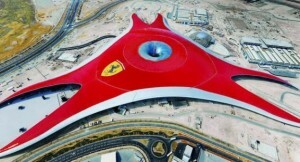 This Ferrari theme park is located all on this island, which will be planned to be a world wide tourist destination. The theme park is all indoors, under a very futuristic custom made roof. It will be the world’s biggest indoor theme park when opened in 2010. The Italian car manufacturer built the whole theme park, themed to its most famous car, the Ferrari. The park is set to have a 124mph roller coaster, along with another set of twin roller coasters. Twenty attractions are being/have been built. For the little ones or older ones alike. This was also part of a project with the Grand Prix race track located right off the side of the park. All opening next year. Doesn’t that really give you the Ferrari Experience? What are your thoughts of the park, will you ever go there? Leave a comment below with your Park Thoughts. 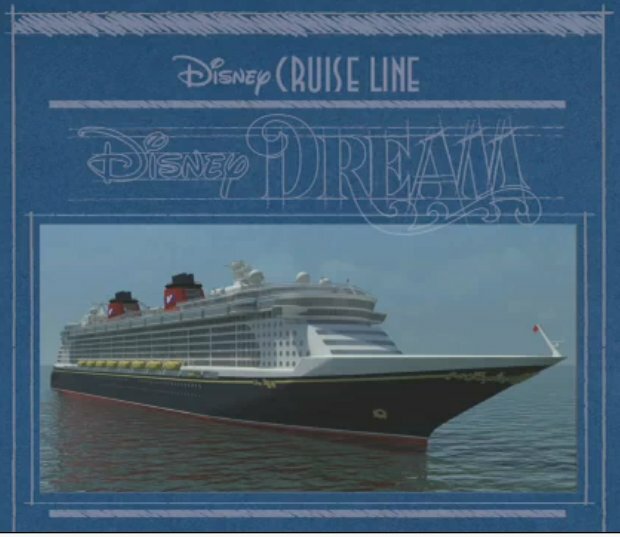 Today Disney revealed some big plans on the upcoming Disney Dream Cruise Ship set to open in 2011. Part of the plans include AquaDuck, the worlds first ever ship board Water Coaster. AquaDuck is a high paced, 765 foot water slide sure to give some great thrills, chills, and spills. Adding to the excitement will be water jets that will propel rafts full of riders up-hill. The real moment on the AquaDuck will be its begging translucent 270 degree curve. It will take riders over the edge, literally, giving them dramatic views of the ocean below. AquaDuck’s see-through flume in the begging is sure to be quite the thrill. 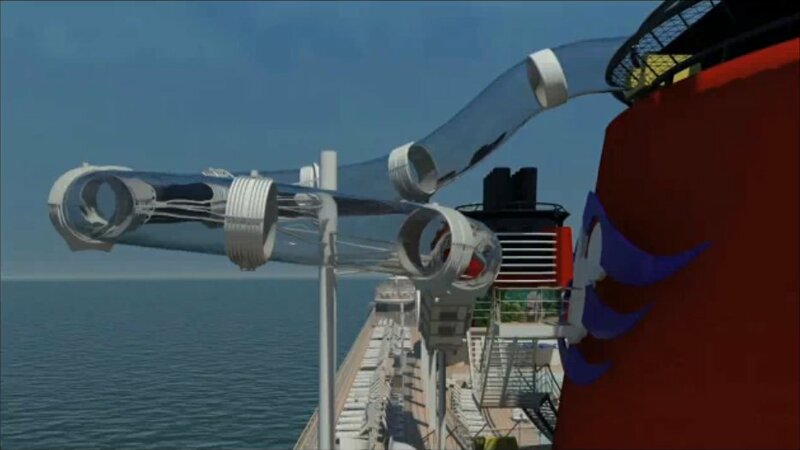 While this is not the first time Disney has put a water slide on a cruise ship. It is the first time they have put a water coaster on one of their vessels. Infact, it is the first time any Cruise Line has attempted to build such a behemoth. Not only is it the first water coaster, I believe it is the first transclucent water slide that goes over the ocean. Can’t wait to hear some reactions from this adventure! 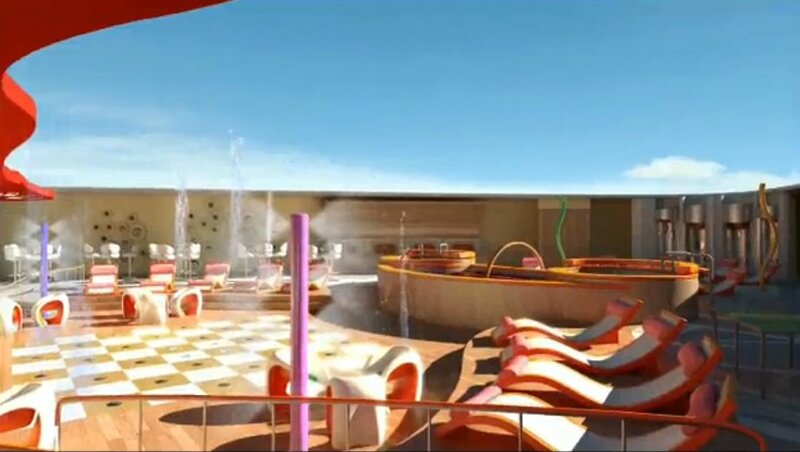 The Disney Dream will feature two amazingly themed play areas for small children. Disney Cruises have been well known for their accommodations for all members of the family. The Disney Dream continues this tradition by offering plenty to do for every one in the family. 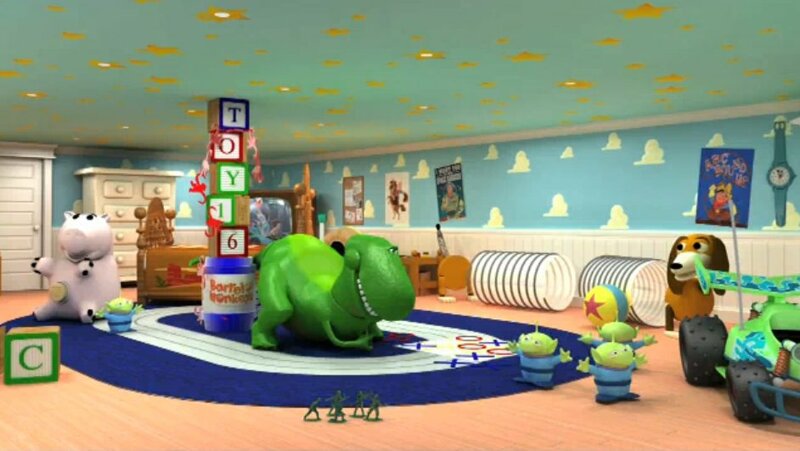 For young children there will be two Pixar inspired play area’s, an unnamed Toy Story area, as well as Monsters Academy, each will be interactive and high in detail. Skyline is an elegant city restaurant for adults only! For Teenagers, Vibe offers a modern lounge with a juice bar, video editing computers, a small theater, and an outdoor water deck made specifically for Teenagers. ‘Tweens’ will also receive their very own club. 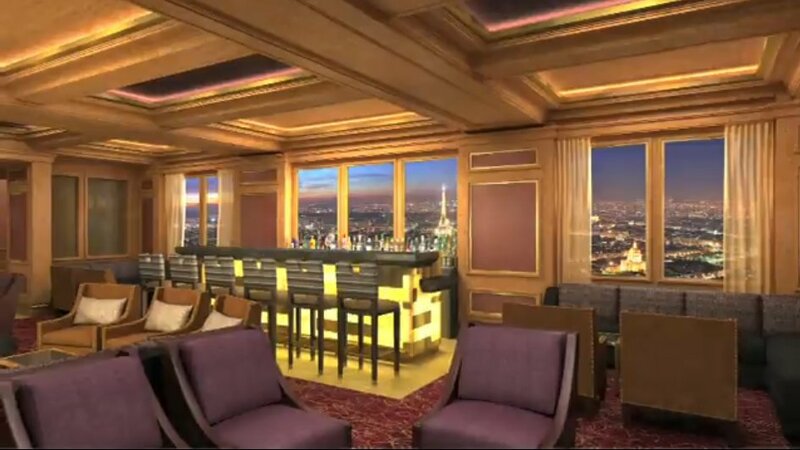 For Adults, Skyline is a beautiful restaurant that takes place in a metropolitan area at sea. The HD Digital windows will display different skylines each night. The Lobby is a hat tip to ocean liners of the 1920’s and 1930’s. 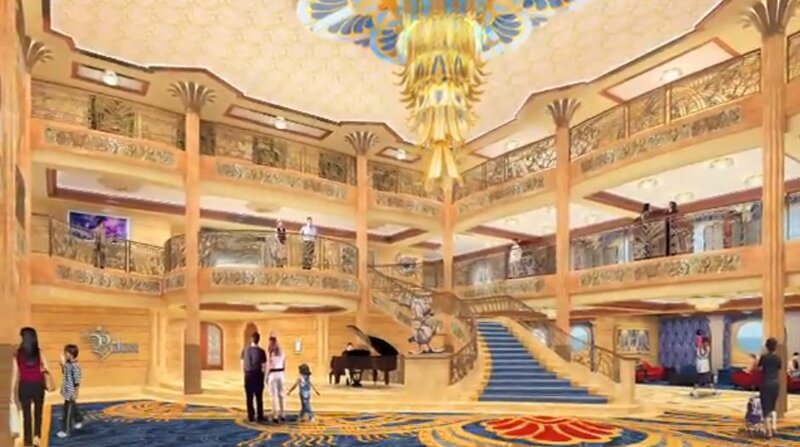 In true Disney fashion, the Disney Dream’s lobby will be a Disney-fied art deco nod to the voyagers of the past. While it will feature characters, expect pure elegance to be found all over the lobby with a spectacular chandelier. This announcement comes as a welcome surprise indicating that the Disney Dream will not be just a clone of it’s sister ships, the Magic and Wonder and will have its own true identity. The Disney Cruise Line is becoming more and more spectacular as 2011 comes closer and closer. What do you think of the Disney Dream announcements? Leave a comment and park thought below. 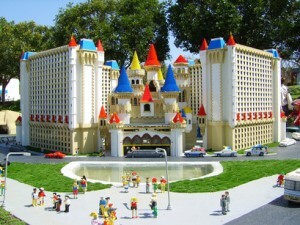 This European park operated company was interested in building a Legoland in Columbia, Illinois. Deals didn’t follow through and the whole project was scrapped. But when governor Pat Quinn, of Illinois, went to Copenhagen to discuss the 2016 Olympics, the Legoland crew was there too. They met up and started talking about new plans to build a Legoland in a small town east of St. Louis, Glen Carbon. The other 4 Legoland parks are located in; England, Germany, Denmark, and California. The company was very interested in the St. Louis area. In a couple of weeks, we might find out if it will come or not! One of the investors for Legoland is in fact, a state representative from down-state Illinois, where this new park will be planned to be built! 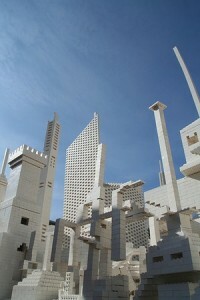 What do you think about a new Legoland opening in the St. Louis, Illinois area? Leave a comment below with your Park Thoughts. Supports arrive at Lagoon, new family coaster for 2010? A collection of small supports have arrived at Lagoon in the last week. Nothing is known about what they’re for, but the size leads most people to believe that its a family roller coaster of some kind. So far these supports are the only development, no land clearing or track at this time. Photo: lagoonisfun.com. More photos can be found in their photo gallery. 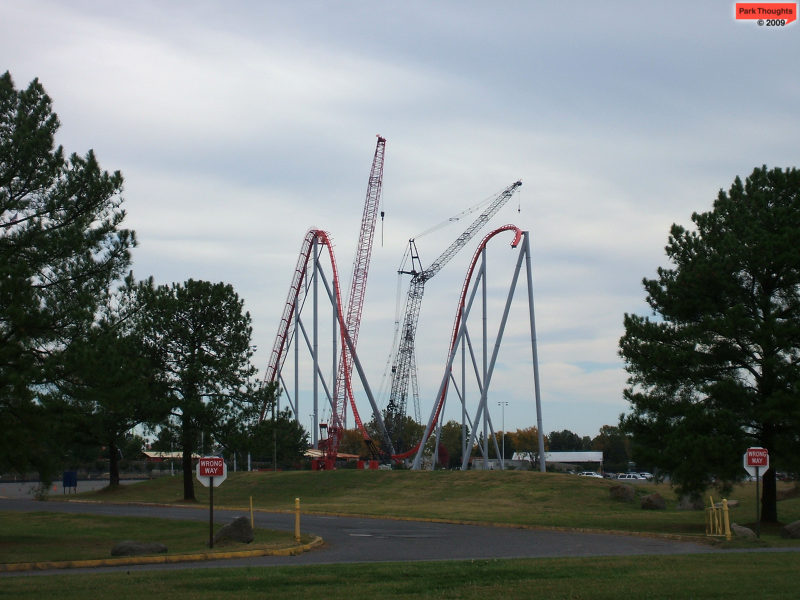 I was able to make a quick stop by Carowinds today to check out the progress on Intimidator. Unfortunately I wan’t able to find time to go inside the park, but I did get a few photos from right outside.